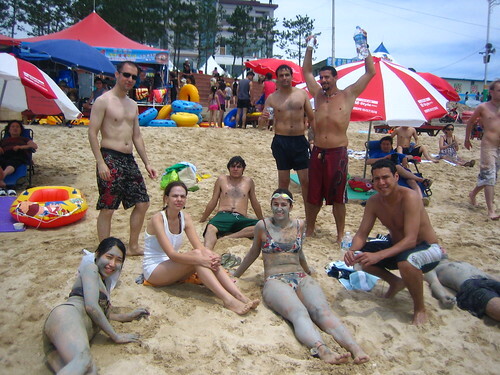 The Boryeong Mud Festival is one of the most popular events of the summer in Korea among the foreign community in the country. 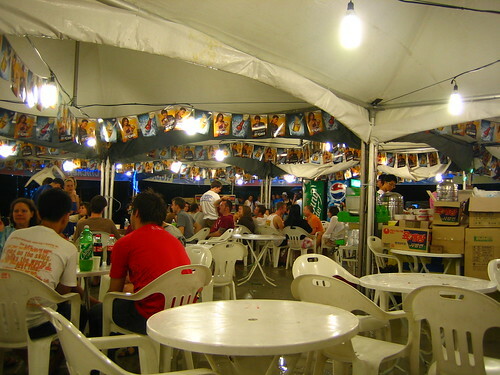 This festival started in 1998, when the city of Boryeong decided that it would be good to have a small mud festival to promote the products based in the mud that the city produces. 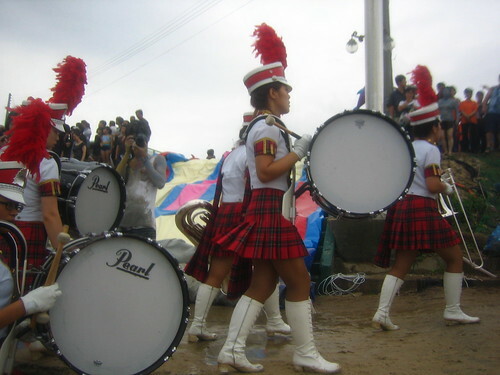 After some years, the festival attracts millions of people every year and its popularity keeps growing year after year. After missing this festival the last two summers, this time I could not miss it, so there we went to spend the weekend in this city in the west Korean coast. 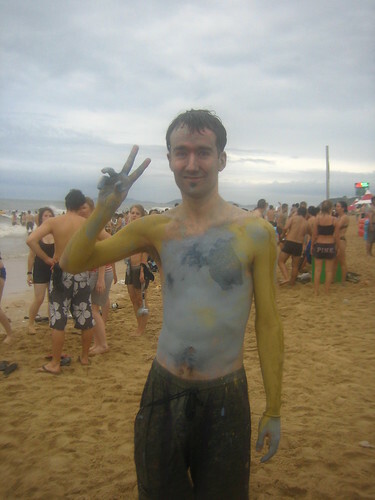 Andoni was one of the first ones to jump into the mud. Group picture on saturday. Even though it rained a little, it was not cold at all and we could enjoy the mud. Of course, we couldn’t miss a music band in the festival. If was funny to see them struggling not to get dirty with mud. 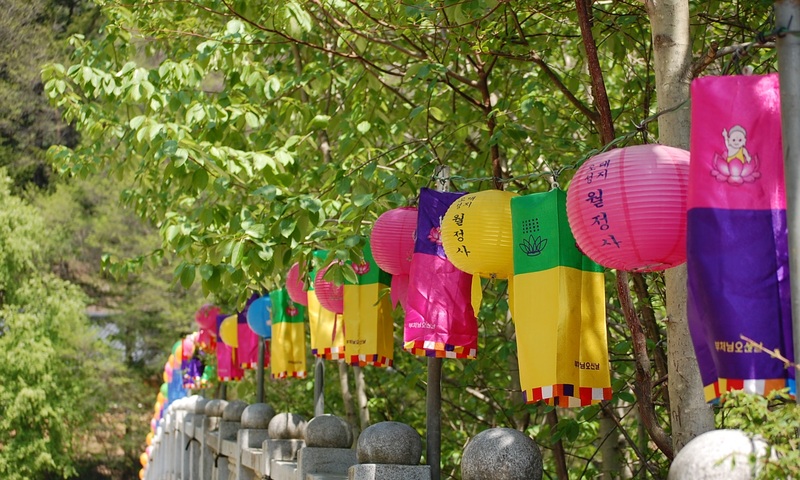 Although there were also quite many Koreans in the festival, the truth is that more than half of the people in this festival are foreigners living in Korea, among whom the festival is quite popular. During the night there is also quite a good atmosphere in the festival, there are concerts, lots of beach-bars open, fireworks, etc. After the rain on saturday, on sunday we were lucky enough to enjoy a great sunny day. As the pictures that I took were not as awesome as I would have liked to, here you have somebody else’s much better ones.